What a sight – the sky is filled with clouds – red and violet clouds that are mingling with each other, talking to one another, having fun! But it has not rained for so long that the clouds seem to have forgotten all about it. 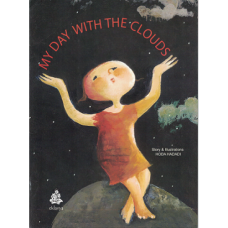 Can a little girl remind the clouds to send rain down to earth?